When you check into such a classy hotel near Mumbai international airport, you are entering automatically a world of luxury! With gorgeous avant-garde luxury furniture in vibrant hues encapsulating glass, cane and leather combos very subtly, with lavishly spaced and centrally-air-conditioned rooms with sensuous room lighting control and loaded mini-bar, with pampering bathroom toiletries such as soap, shampoo, moisturizer, comb, bathrobe (on request) and hair dryer in every washroom, round the clock luxurious room service for you to savour gastronomic delights at leisure in the relative privacy of your room, a telephone and more, you are really cosseted! However, the conveniences do not end there! They extend to a smart LCD television for your viewing pleasure, a sleek writing table/calendar, stationary and handy tea/coffee maker, digital safety vault for your valuables and complimentary newspaper, you are at par with the world all the time! With plush and opulent Topaz and Sapphire suites and exclusive Premium, Business and Superior rooms to choose from, you have in the elegant suites the added luxuries of a lavish and luxurious furnished spacious living room complemented with an LCD TV, leisure couches in pleasing pastel shades and a side divan to accommodate more people effortlessly! The private bedroom embodies state-of-the-art amenities and the suite also encapsulates extra en-suite In-house 24-hour, same day laundry, vital direct dial facility, complimentary Wi-Fi Internet Facility, making living a pleasure in superb luxury hotels in Mumbai! Which Accommodation In Mumbai To Choose From? 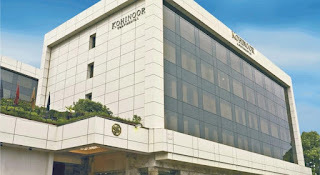 Hotel Kohinoor Continental Is The Preferred 4 Star Deluxe Business Hotels In Mumbai Strategically Located Near Mumbai International Airport.